Individual CEOs pioneering new ways of doing business is all well and good, but it’s once you change the law that system-wide change starts. The benefit corporation legislation developed in the US has been adopted in most of the country and is spreading further afield. What’s the secret to its success – and where does it go from here? When corporate lawyer Bill Clark was handed a new client in 2009 – the former founders of an athletic wear company – he was happy to treat it like any other project, even if he wasn’t too convinced by their request. This was not just any other client, though: this one would shift Clark’s entire career path. And it would lay the groundwork for a different way of doing business across the US. Because entrepreneurs Jay Coen Gilbert and Bart Houlahan, along with former private equity investor Andrew Kassoy, were not looking to start a new company: they wanted a whole new legal form for firms wanting to balance purpose and profit. Clark, then a partner at the Philadelphia-based firm Drinker Biddle, worked with the trio and the non-profit they had founded, B Lab, to create a proposal for this new legal structure. And he was “very much a sceptic” at first. “We had no idea whether we would be successful in promoting it,” he says. His old self would have been pretty surprised to see just how far it would reach: since then, the legal form has been gradually adopted in one state after another. To date, it’s in 34 jurisdictions of the US, with over 8,000 benefit corporations worldwide, including Patagonia and Kickstarter. Clark peppers his story with references to a kind of higher, guiding purpose. Being handed B Lab’s file was a “fortuitous” moment that turned him into a “believer in the cause”. Looking back, he now sees his entire career – decades of experience in drafting business entity laws, time spent redrafting Pennsylvania’s corporation law, and serving as reporter for the national Model Nonprofit Corporation Act – as preparation for taking on the benefit corporation project. Clark now sees his religious calling as the pursuit of justice in the marketplace. Benefit corporations are traditional corporations, but with stricter obligations when it comes to purpose, accountability and transparency. They commit to creating public benefit and sustainable value alongside generating a profit and are required to report on their progress – in most states annually and using a third-party standard – on achieving social and environmental impact, at least to their shareholders and in most cases to the public. Shareholders have the same rights as in a traditional corporate model, plus additional ones including the right to enforce the company’s social mission. Somewhat confusingly, B Lab is behind another, similarly-named category of purposeful business, B Corps. Achieving B Corp certification requires meeting minimum standards on a various scores, with assessments to be repeated every three years. There are over 2,500 certified B Corps in 50 countries worldwide. Companies can be structured as benefit corporations but not B Corp certified, or vice versa, but many see adopting benefit corporation legal form (if available) as a step towards achieving B Corp certification. 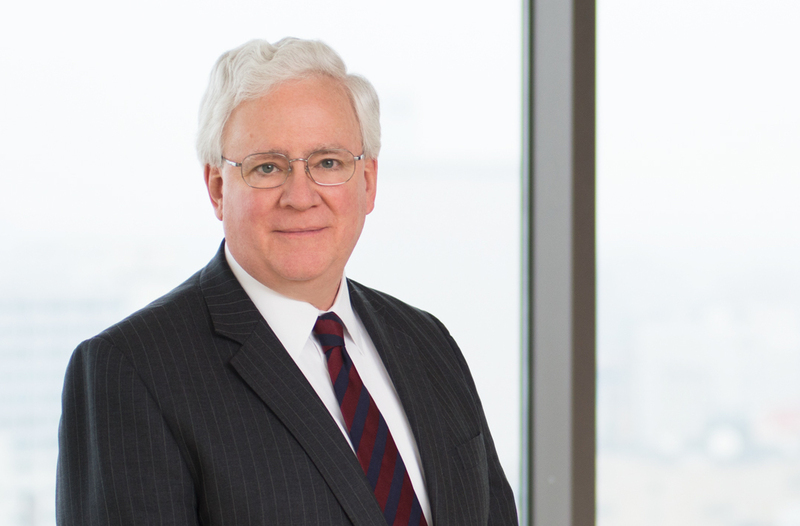 Now retired, Clark is still engaged at Drinker Biddle as counsel and continues to work pro bono with B Lab, promoting the benefit corporation structure and helping other jurisdictions adopt the legislation. What turned him from sceptic to evangelist? Clark says his pre-B Lab career was spent “deeply invested in the current system.” He was, he says, “quite comfortable” – and absorbed in the daily concerns of family (he is a father of three) and building a legal practice. “Though I knew there were problems in the world, I didn’t really focus on how bad they were,” he says. Talking to his new clients made him sit up and notice the scale of social and environmental challenges – and it has evidently converted him to their way of thinking. How much support is there for benefit corporations? One indication of the model’s success is its apparent ability to win over both sides of the political spectrum. Strikingly, in 12 US states, benefit corporation legislation was adopted unanimously in both legislative chambers. While liberal-progressives are naturally attracted to the potential outcome for society, for conservatives a key point is the means, says Clark: the fact that it’s an option available within the free market. Similarly, Democrat senator and presidential candidate Elizabeth Warren is proposing, among others, to require all American firms with over US$1 billion revenue to adopt a new model of governance based on the benefit corporation model. Criticism of the policy is far less of the concept itself, says Clark, than of the push to make it mandatory, something he believes would be seen as “far too radical” to be enacted. What of those who simply aren’t convinced of the value of a new legal structure? The model is taking root beyond US borders: Puerto Rico, Italy and Colombia have adopted benefit corporation legislation, and among the countries pursuing similar legislation are Taiwan, Australia and Argentina, according to B Lab. But to make a real difference, many argue that the very largest firms would need to get on board. Yet, whether the model works for publicly listed companies is “very much still the open question,” says Clark. “We believe that it does [work], and there are some large companies that have adopted it.” Danone North America, a subsidiary of the French food group, became the largest benefit corporation in 2017 (its parent company has also pledged to get all Danone subsidiaries B Corp certified by 2030). But it’s clearly much more complicated a shift for public companies. Even the most responsible CEOs often realise they need to “work harder at communicating their vision” to employees, says Clark, never mind doing all the preparatory work needed to present a case that convinces shareholders to make the switch. The decision was a blow to those who hoped to see benefit corporations win wider appeal. Convincing more companies to switch before they go public may be the best strategy. In 2017, Laureate Education, a for-profit network of higher education institutions, was the first benefit corporation to go public – raising US$490m from investors. Where is the benefit corporation – and Clark’s career – going next? With the legislation adopted across most of the US, Clark wants to see more countries following suit, and more companies – especially publicly-traded ones – using it. He’s also pondering ways to mandate change more broadly, through less onerous standards that could be adopted by all businesses. That’s because, since the benefit corporation was first adopted ten years ago, the notion of a more caring capitalism is firmly on the international agenda. Clark wants to connect better with initiatives like the Sustainable Development Goals or the United Nations Global Compact, a voluntary code of 10 do-no-harm principles for responsible businesses – minimum standards that Clark says society can, and should, require of all firms. Precisely where that will lead to is still unclear: the lawyer is at the stage of “ruminations”. No doubt he'll be guided in the right direction. Bill Clark will be speaking about how the Sustainable Development Goals need to be hardwired into company law at the ESELA annual conference – The Impact Revolution: The Role of Law and Lawyers – on 12 April, in London. Find out more and get your tickets here. A new partnership between B Lab and Social Value International aims to make businesses "more accountable and transparent".